Still looking for gifts for fellow movie poster fans? Check out The Art of the Modern Movie Poster from Chronicle Books. It’s an excellent resource on the history of one-sheets, emphasizing International designs. In fact, after reading this baby, I discovered that a recently purchased poster of mine from EMoviePoster.com was created by Osvaldo Venturi, a prominent Argentinean artist in the 30’s and 40’s. And only $12! 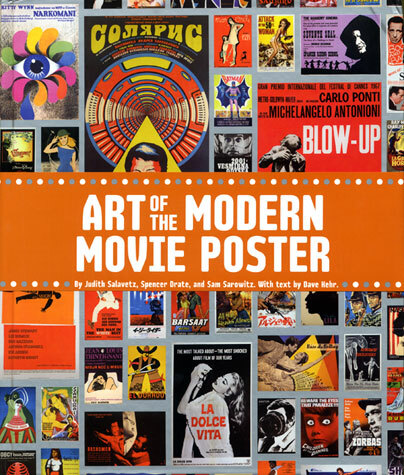 This entry was posted in Artists & Illustrators, British film posters, French movie posters, Movie Poster Books, Movie Poster Collectors/Dealers and tagged Chronicle Books, osvaldo venturi, Posteritati, sam sarowitz, The Art of The Modern Movie Poster by russ. Bookmark the permalink.